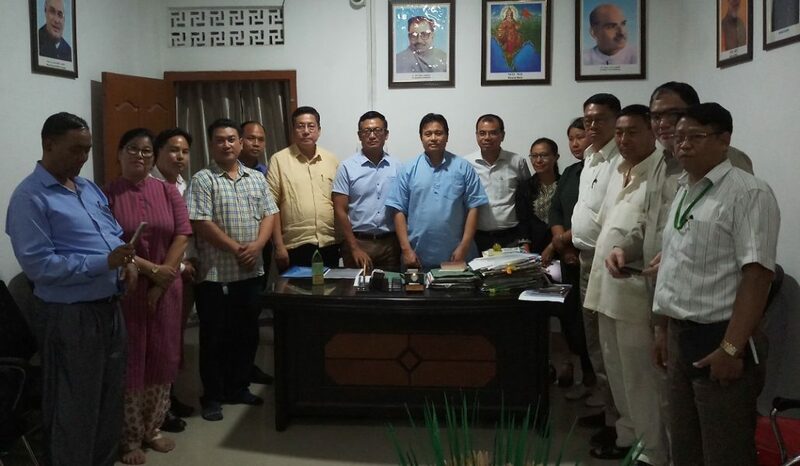 Manipur Commerce and Industries Minister Thongam Biswajit Singh assured of all possible assistance to the local entrepreneurs and stated that the Pradhan Mantri Kisan Sampada Yojana is one such scheme of the government which is aimed at helping and encouraging local entrepreneurs. Manipur Commerce and Industries Minister said this while chairing a meeting on Kisan Sampada which was also attended by members of the All Manipur Entrepreneurs Association and officials of Commerce and Industries Department on Wednesday. The Minister also urged local entrepreneurs to apply so that they can avail the feasible projects under the Pradhan Mantri Kisan Sampada Yojana. He said encouraging entrepreneurs in the State will eventually help in fighting the unemployment problem. Biswajit also hinted at improving the food processing sector in the State so that our local producers are able to reduce wastage of their products. The attending entrepreneurs also highlighted issues they face while applying for the scheme. Under the Pradhan Mantri Kisan Sampada Yojana, Mega Food Parks, Integrated Cold Chain and Value Addition Infrastructure, Creation / Expansion of Food Processing & Preservation Capacities, Infrastructure for Agro-processing Clusters, Creation of Backward and Forward Linkages, Food Safety and Quality Assurance Infrastructure, Human Resources and Institutions will be implemented. Wednesday’s meeting was also attended by Deputy Director, Food Processing Industries (FPI) H Murali Meitei.